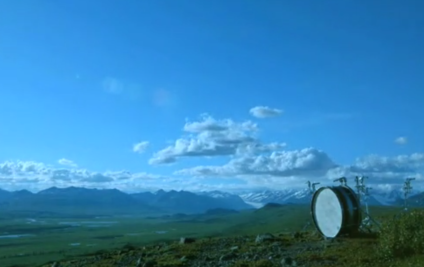 In 2009, I spent two months in Alaska interviewing and working with this year’s Pulitzer Prize winner for music, John Luther Adams, for my 2010 documentary “The Reach Of Resonance.” John has been exploring the sonic geography of Alaska through birdsong, Alaska Native language and drumming, and the geophysical phenomena of the land and sky. 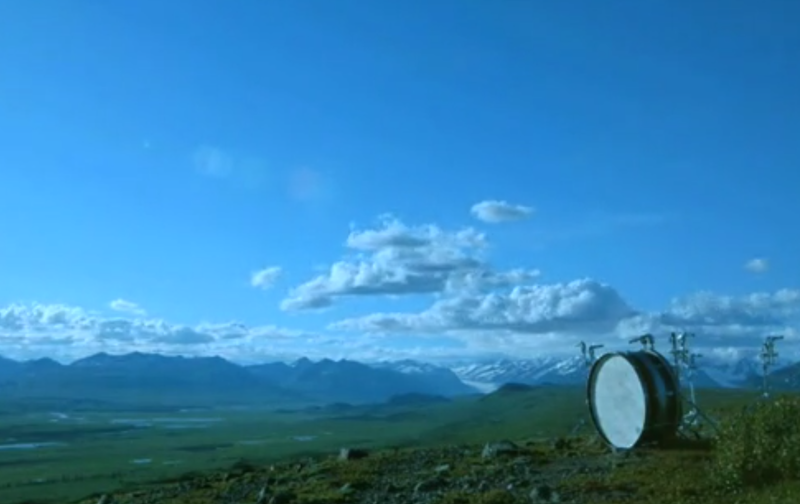 At the time, he was composing “Inuksuit,” a piece for nine to ninety-nine percussionists that has the audience literally hike through the piece, as musicians perform from a score based on the architecture of stone cairns constructed by Inuit people in the Arctic. The following is a short film I made on John’s translation of Alaska’s weather patterns, earthquakes, and aurora borealis into music. In Fairbanks, John introduced me to his close friend Len Kamerling, an Alaskan ethnographic filmmaker. While John has been exploring the Alaskan landscape through its sonic geography, Len had been living in remote Yup’ik eskimo villages exploring the emotional geography native Alaskans have cultivated with the land to survive in such extreme conditions. Len’s work provides new depths to John’s observation that “we need to know where we are in order to have a more complete understanding of who we are” and my own attempts to better understand how listening creates culture. The following short film I made in tribute to Len includes fascinating insights into John’s music, the music of Papua New Guinea, as well as breathtaking footage from his work in Yup’ik eskimo villages, Hokkaido, and Tanzania. Categorized: Aural Maps. Tagged: John Luthar Adams, Len Kamerling.